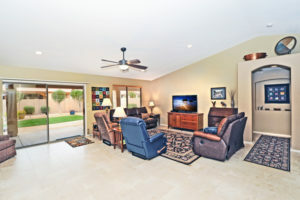 10122 Elmwood in Sun Lakes, AZ is in the gated Oakwood Country Club community. 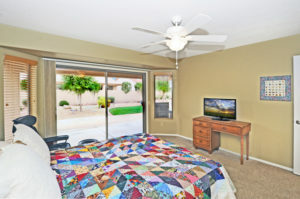 If you are looking for a home in a retirement community, this one is move in ready. The beautiful stone accents create great curb appeal. 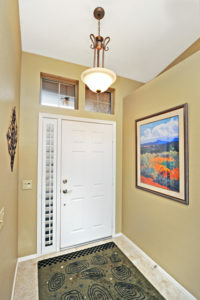 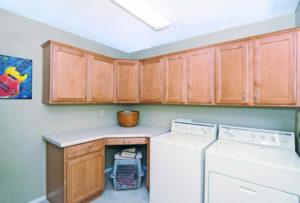 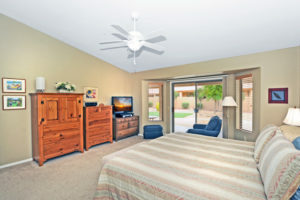 Upgrades are plentiful with 18″ tile flooring and newer carpet. 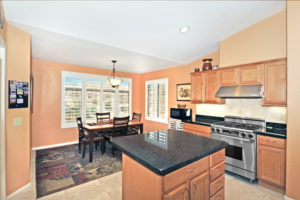 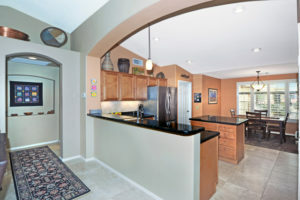 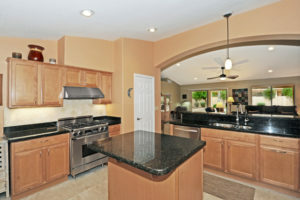 The Chef’s kitchen features stainless appliances, granite counters, marble back splash and much more. 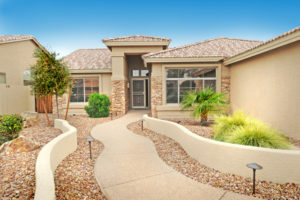 This Palmera floor plan is popular with the great room and split bedrooms. 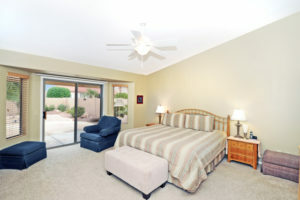 Both the master and guest bedrooms have patio access. 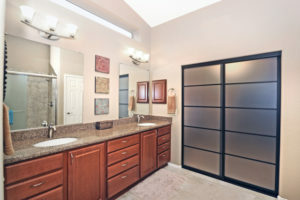 Enjoy the master suite with tiled shower and single surface shower pan, huge walk in closet with custom doors and new cabinets, sinks and lighting. 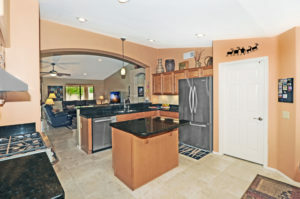 Slider roll-outs in the kitchen cupboards are a nice upgrade. 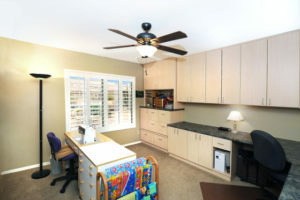 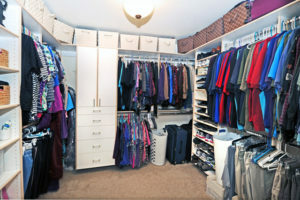 And, if you need a home office or craft/hobby room, this one has built-ins and is ready and waiting for you. 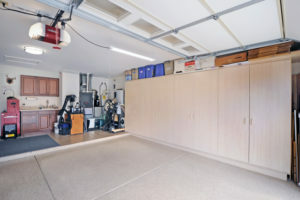 Easily store two cars and a golf cart in the extended length garage. 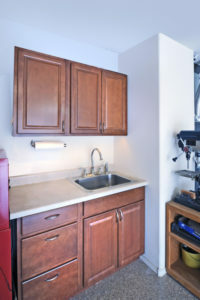 No need to worry about the HVAC system that was replaced in 2013. 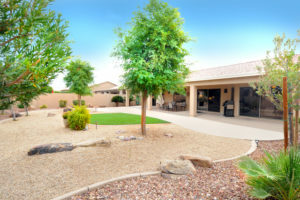 And, the back yard is private and spacious with mature landscaping. 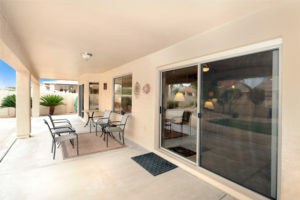 Relax in privacy with a good book and cup of coffee or entertain friends and family under the covered and extended patio. 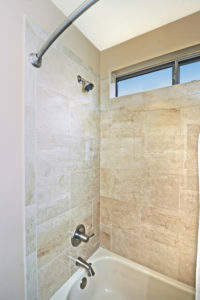 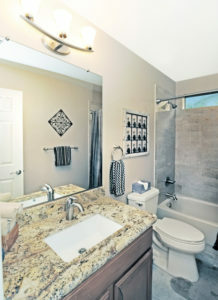 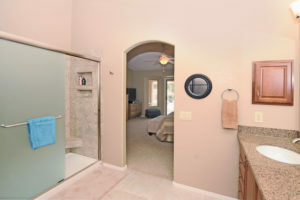 When you buy a home in Sun Lakes, it comes with resort amenities. 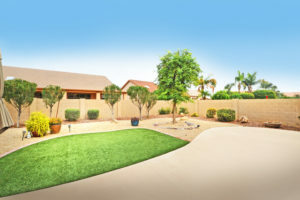 Oakwood and Ironwood Country Clubs are part of the IronOaks homeowner association. 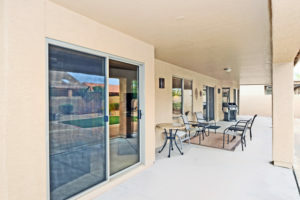 You have access to 45 holes of golf, 14 tennis and pickle ball courts, swimming pools, fitness center, walking paths, lakes, senior softball, water volleyball, restaurants and so much more. 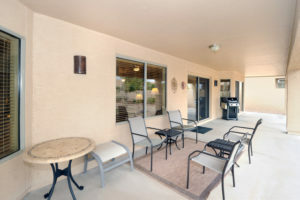 Take in free entertainment in the Stone and Barrel bar and restaurant. 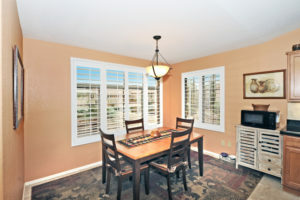 Or, enjoy a concert in the ballroom. 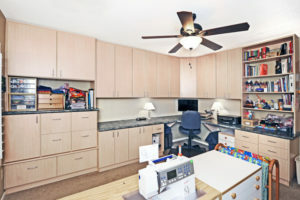 There is so much going on and you can choose whatever interests you. 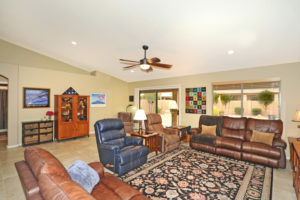 Are you ready for more info on 10122 Elmwood in Sun Lakes AZ? 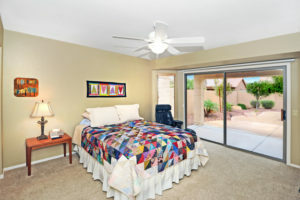 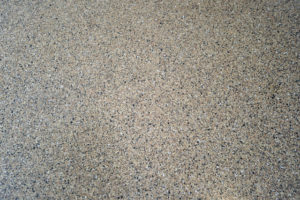 Contact us here or call 480-440-0849. 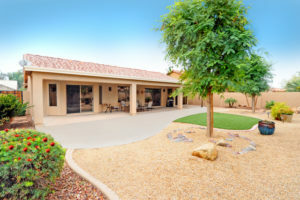 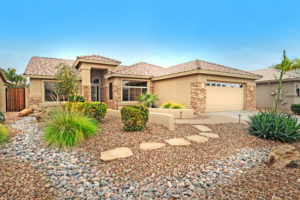 Sun Lakes AZ real estate specialists The Kolb Team will be ready to help you find all the answers you need about this home or any home in Sun Lakes.